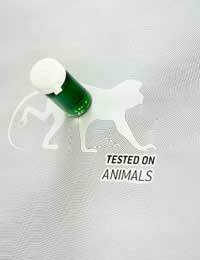 In the United Kingdom (UK), animal testing regulations are extremely stringent. In fact, they are considered by many to be the strictest in the world. Before animal testing can occur, a project licence must be granted to the organisation that is guiding the research. There are, however, numerous factors that are considered before a project licence is granted. Given the significance of drug development and medical progress that relies on animal testing, regulations are vital to securing the practice. The Home Office supports the premise that to reduce human suffering and death, animal testing must occur. At the same time, if a suitable alternative exists, this should take precedent over animal testing. The Animals Act - also known as the Scientific Procedures Act - was passed in 1986 and this law is applicable to animal testing in the UK. It mandates that an experiment must be governed by three separate licences. The first one is a project licence relevant to the head researcher who essentially supervises and oversees the experimentation. This licence will provide the specifics for the number of live animals that will be used and it also applies to the relevance of each type of animal that is to be used in the experiment. The project licence also applies to the experiment itself and its aims. The second licence involves certification for the agency. This certification is to confirm that the organisation in question has appropriate facilities and that it is adequately staffed to deal with the experiment and the animal testing. The third licence is a personal licence for every single researcher or technician who will be involved in fulfilling the procedural requirements. Ultimately, it is the Home Office that is responsible for considering an application for an animal testing licence. When considering an application, an investigator representing the company in question must show that the potential negative effects on the animals are lower in comparison with the perceived benefit from the experiment. The Home Office will not grant a project licence for animal testing if the animal is likely to suffer at a level that does not justify the perceived benefit. The Home Office will also refuse a project licence for animal use if there is any non-animal alternative that can quite effectively satisfy the experimental aims. Experiments must also use the absolute minimum number of animals necessary to successfully conduct the research. In addition, researchers must test on those animals that have the lowest level of sensitivity to pain but will still satisfy the aims of the research. Another important consideration is that experiments must minimise the level of pain that can occur. This may mean using pain relievers or anaesthetic where necessary to reduce suffering and distress. All of these aspects are weighed when considering the granting of a project licence. In fact, the UK is the only country that assesses every single licence application with a high level of scrutiny while also conducting a cost-benefit analysis. In addition, trained and qualified inspectors monitor animal testing facilities both on-site and off-site to ensure compliance with UK laws. Even though there are extremely specific and lengthy requirements for project licence application and approval in the UK, there are still several criticisms of the current system of approval for animal testing. Opponents to the current system believe that the Home Office is too quick to approve an experiment and that it grants project licences without adequate scrutiny to the experimental procedure and the animals used. Those who support the system say this is simply not true and they cite a track record of critical investigation of each project licence granted. Critics also complain that researchers who are presenting their case may inaccurately represent the facts around their research aims and the intended animal testing for experimentation. Others explain that the strict UK system of monitoring and inspections can ensure that any false claims that result in approval of a project licence will be exposed and consequences will be appropriately applied. Project licences will likely remain a tightly controlled and extensive process for organisations which intend to carry out animal testing in the UK. In fact, it is expected that the approval process will strengthen rather than wane, particularly as the government places greater emphasis on finding alternatives and reducing animal suffering. While animals can benefit medicine as well as health knowledge and outcomes, their use must remain tightly regulated to ensure that experimentation is ethical and humane.